Well, not everything made is Japan is tiny. Check out the new Burger King menu item. 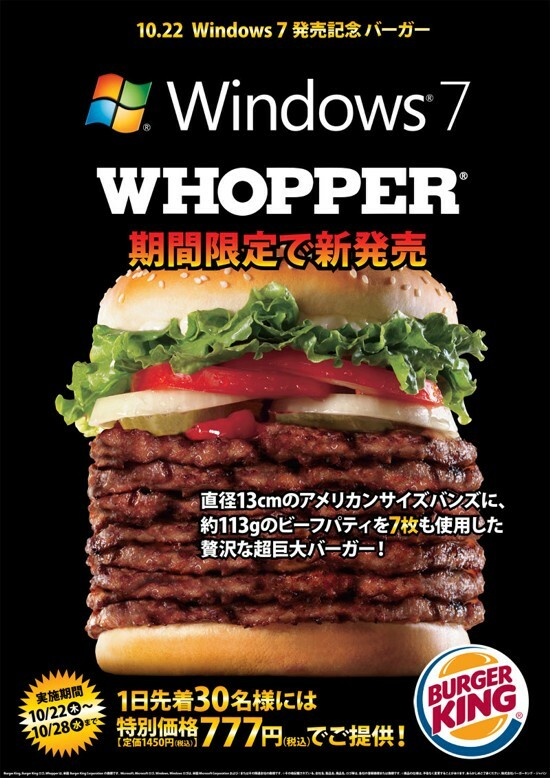 Launched in a team-up with Microsoft in honor of its release of Windows 7, the "Windows 7 Whopper" sports seven all-beef patties! 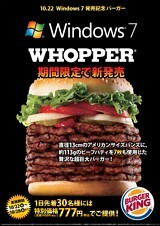 The stunt-burger measures 5.1 inches tall and sells for 777 yen (that's $8.53 to you Midwesterners). AND... you can still HAVE IT YOUR WAY.